veracity or proof of this proposition are tolerated. It is a fact, end of story – period. Accept it or be ridiculed and worse. quoted statements late in his life directly bear-out that premise. more credible, modern, ‘scientific’ myth of evolution. natural.” ‘The Geologist’ magazine, December 1862.
mainstream media, despite there being thousands of examples constantly occurring. change.” Stephen Gould, evolutionary biologist, Harvard University 1980.
by a decline in scientific integrity." W.R. Thompson, Canadian scientist. confusion of halfway species instead of being, as we see them, well-defined species?" it was in the 1860s. could not even stand up to the rigours of even rudimentary investigative journalism. knowledge of the real truth of our origins and purpose as a species. ignorant about the truth. The following knowledge has been kept secret from most people in this world. 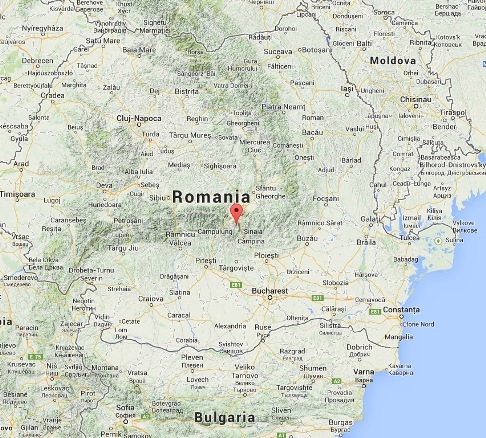 Below a map showing location of Bucegi Mountains in Romania. In 2003, the Pentagon discovered, through the use of state-of-the-art satellite technology, an anomaly within the Bucegi Mountains. Through the highest levels of Freemasonry, the Pentagon was able to secure an alliance with the most secret department of the Romanian Intelligence Service which is known as Department Zero. Together, the Romanians and the Americans utilized the Pentagons secret technology to penetrate a chamber inside of the mountain that was otherwise inaccessible to humans. What was discovered eventually was a holographic Hall of Records left by an advanced civilization near three mysterious tunnels leading into the Inner Earth. The book Transylvanian Sunrise chronicles the discovery of these modern day artefacts that represent the dawn of a new era for Mankind. The Romanian government decided to make this tremendous discovery from Romania’s mountains known all over the world. But colossal diplomatic pressures came from the United States of America and the Vatican on the Romanian Government to not disclose to the whole world this discovery and so it led to a temporary agreement between the Vatican, USA and Romania. The USA fast-tracked Romania into NATO and the EU and then the Vatican gave the Romanian Government some very important documents relating to the countries past. The Americans reacted violently as the declaration would have shattered their planetary influence in a second. Even more, it could have thrown into chaos the economy of their country, maybe even the economy of the whole world. Actually, that was the main reason they invoked strong-arm tactics. They wanted to avoid the panic and disturbance of all the people on Earth. However, they did not suspect that the possible social anguish and disturbed condition might have appeared as a direct result of the lies and manipulations the ruling classes, especially the Masonic organizations, have been maintaining all this time. “Through a very special diplomatic channel, a personal Papal approach was received, advising towards great temperance before making this fundamental step for humankind. The Vatican had already been informed by the Americans as it was considered by the latter a possible ally in blocking the revelations. Strangely, although revealing these aspects to the whole world would have reduced considerably the Vatican’s power and its influence upon Christian believers, the Pope did not take a firm position against it, but he urged instead for an efficient balancing of pros and cons before presenting the declaration. He even communicated he would put at the Romanian State’s disposal certain ancient documents from the Secret Archives of the Papal administration that are very important for Romania and support the proofs of the discovery in the mountains. The Romanian state was to postpone the disclosure for now. Of course the Freemasons, Illuminati who control most of this world have tried to get sole access to this technology. They sent Signore Massini (Freemason, Bilderberg Group) to Romania to try to negotiate with Department Zero (Romania’s secret intelligence service on unknown phenomena) to try to get first access to this technology. Although Massini was there all through the project to get access to the inside of the tunnel, he did not get sole access to this technology. Of course Massini new about this technology already because they had found a similar technology in Baghdad’s Museum when they removed Saddam Hussein earlier in the year. Knowing the Masons’ terrible political influence and Signore Massini’s relations with the political structures of the two countries, we could suspect that there would be a gradual attempt to “take over” the control of the base by factors that were exterior to the interests of the Romanian government. Massini used the Illuminati’s control of the USA to get the Pentagon to use ultra-sophisticated U.S. military technology to achieve a breakthrough to get past a force field or energy barrier that was protecting further access into the secret parts of the Bucegi tunnel. Their first attempts going through the barrier cost the lives of three soldiers who had cardiac arrests as they tried to walk through it. Tunnels from the main room lead into Inner Earth, where a long-buried culture once thrived along with what appears to be a time machine. Force-fields protect the place, designed for 16-foot-tall beings. Is this a thriving, as-yet undiscovered colony beneath our feet, evidence of extra-terrestrial visitation of UFOs, or our own species in some earlier incarnation? Is Inner Earth a parallel universe intersecting across time and space, or is it something we as yet do not understand? The American researchers found an Amphora in the tunnel (a tall ancient jar or jug with two handles and a narrow neck) and were puzzled to discover that it represented an unknown crystalline structure of monatomic gold. This is a derivative of gold which is bright white and the atoms are placed in a two-dimensional network as opposed to common gold which is yellow and has atoms placed in a three-dimensional network. The monatomic gold dust is very difficult to obtain, especially in a very high purity, as is described in some ancient texts and the few genuine alchemy references from the Middle East. American scientists at the tunnel said monatomic gold in its pure form strongly stimulated certain energetic flows and exchanges at the cellular level and particularly at the neuronal one. In other words, it produces a much accelerated rejuvenation process. They said that, theoretically, one could live in the same physical body for thousands of years if one consumed a well determined quantity of that dust periodically. It is mind-blowing and almost unbelievable for the condition and mentality of the present individual, but this explains many enigmatical aspects in humankind’s history, aspects about the incredible longevity of some important figures; and it also clarifies the hidden intentions of the Masonic elite. According to the research of Zecharia Sitchin this same Monatomic Gold was mined by the Annunaki when they came to this planet. 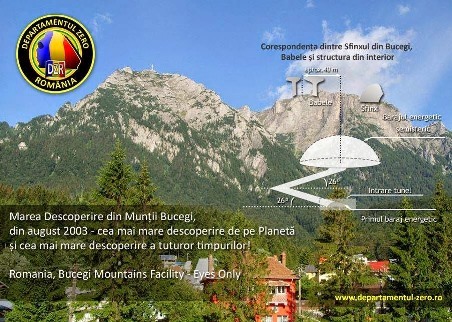 Is this technology inside the Bucegi mountain from the Annunaki? It is very possible. Author Peter Moon travelled to Romania and brings first-hand knowledge of the discovery and the incredible journey of those that experienced the alien technology inside the chamber. 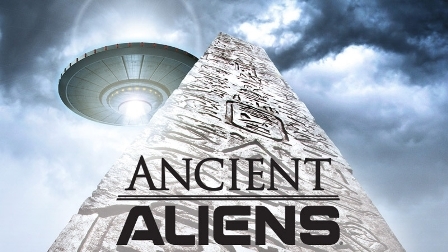 The books, Transylvania Sunrise and Mystery of Egypt, The Third Tunnel chronicle the discovery of the chamber and the strange artefacts, which according to Moon and Radu Cinamar, represent a deep understanding of our origins and has the potential to usher in a new era for humankind. Peter Moon had access to the story through Dr. David Anderson of the Time Travel Institute. The U.S. government credits Dr. Anderson as having developed advanced time-warp field technology. According to the books author (Radu Cinamar) the inside of the Bucegi tunnel, in the middle of the square is a huge dome which projects a hologram of moving parts. It contains the main aspects of the very distant past of humanity, from its very beginning. Darwin’s evolutionary theory is therefore completely false. The true origin of man is depicted in a condensed holographic form. After these lessons of truth, we can say that 90% of the official history of mankind is false and counterfeit. Unbelievable, but what is considered to have really happened is mostly lies, while the myths and legends of the people are almost all true. This strange inversion caused many problems and conflicts between people in our past. Also, most archaeological theories are false. Some “fantasies” of scholars such as the dinosaur extinction theory 65 million years ago or considering old continents of Lemuria and Atlantis as a myth are now completely shattered by the holographic projection that shows clearly how things have happened in reality. From time to time, the hologram kept the event’s image but in the background was projected the sky map containing the marked position of all major stars and constellations of that exact time. Because of this, the exact dating of the events shown in the presentation was possible. Although the time period covered by the projections is very large (several hundred thousand years), and the precession cycle of the Earth is 25,920 years, by observing the number of “Plato years” (the 25,920-year cycle) the exact dating of the events was possible. 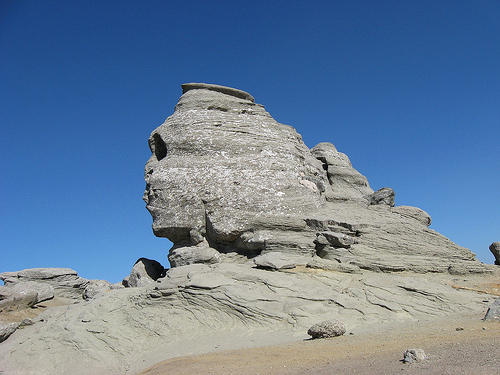 The Bucegi Mountains were formed 50-55 thousand years ago. The question was asked “I almost cannot believe they reached such an advanced technological level. Who were they? You must know”. The entrance hall contained a series of huge stone tables. None of the tables have a height less than two meters. On the table tops were cut in relief, with precision, different signs of an unknown writing, characters that resemble ancient cuneiform. The writing also contains more general symbols such as triangles and circles. Although the signs are not painted, they come out with a fluorescent light radiation in different colours from table to table. When approaching any of the tables, a holographic projection activates showing aspects of a particular scientific field. The three dimensional images are perfect and very large, with a height of almost two and a half meters. The projections run by themselves but at the same time they are interactive and depend on one who interacts with the tables by touching their surfaces. It seems however that the giants are not just fairy tales, considering the fact that their remains have been found all over the world. The mystery of their civilization remains to this day and there is even a sort of secrecy in this regard, a convention to sweep any evidence of their existence under the rug. In the 1970s, a group of archaeologists found an underground gallery in Rosia Montana, Romania, which led to numerous discoveries. Around 3500 BC, people of the Scythian tribe called the Agathyr built an underground gallery, also known as the hyperborean gallery, which is now known for having unearthed unusual gravestones. These gravestones were not made of normal composite stone but gold, granite and wolfram. 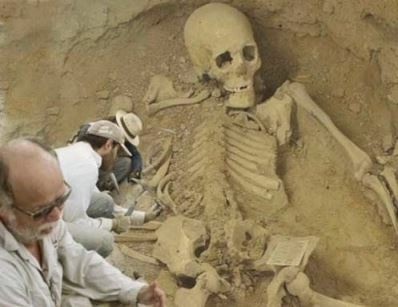 This led the researchers to dig even further and they eventually found 10-meter tall human-like skeletal remains. 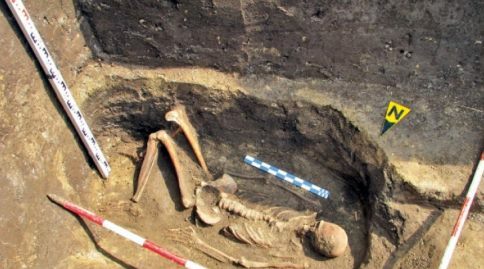 Numerous skeletons of giants have been found and unearthed in Romania throughout the last century. In the 1940s, there was a mass excavation of 80 human-like skeletons that appeared to be about 5 metres (16 feet long). At Bucegi in the projection room the author acknowledges that he actually saw what really happened at the Great Flood and where the germs of human civilization occurred, but he doesn’t have the permission to reveal the reality because this involves too shocking realities for the mentality, ideas and knowledge of the contemporary man. In a disturbing display of images the existence of Jesus and his crucifixion on the cross is also shown. The projections reveal the historical truth about Jesus which is completely different to what we have been told by the bible and the Vatican especially his relationship with Mary Magdalene. Shortly after all this was discovered the Americans decided that the Vatican should be contacted and should see the reports only containing to the life of Jesus. We assumed that the Vatican might fully ignore this information because there was no concrete evidence, only some written reports. The Americans decided to admit this to two or three cardinals as witnesses to this device seeing as the Pope already knew about the initial discovery in Romania. Their surprise was the Vatican answered quickly through a special courier that they had known about these aspects for many years. They even offered the Americans a summary of Jesus' life as a means of verification of the reports. Some representatives of the Vatican were sent for discussions. On their return the General confessed that he saw the Vatican documents and it verifies what we have uncovered. So why can’t they inform the people about this? The tunnels spread over thousands of kilometres in three different areas of the planet. The left one leads somewhere in Egypt, into a secret and yet undiscovered ensemble, which is buried under the sand somewhere under the Pyramids. The right tunnel reaches a similar, but smaller structure, in the “Tibet Plateau”. In this second tunnel, are also found three secondary ramifications. One leads to a basement area of Buzau (Romanian city), near the Carpathians bend. Another leads to the underground structure of Iraq, near Baghdad (the one we spoke of earlier). The final ramification leads underneath the Gobi Plateau in Mongolia. The third tunnel, located centrally between the other two, is the subject of a secret world of which the U.S. wanted a very strong guarantee it would not be revealed. Down the central tunnel inside the planets crust and may provide an answer to the origin of structure inside the mountain and those who built it. One of the things mentioned is that joint armies around the World would be guarding the entrance to the tunnel. In July 2010 a helicopter crashed in the Bucegi mountains killing all 6 ISRAELI soldiers. 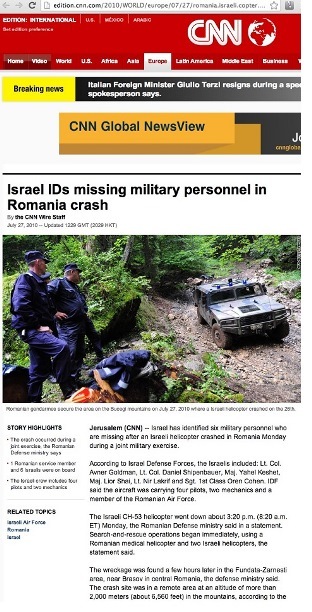 Why else would Israeli soldiers be in Romania? The 6 bodies were NOT found. Below is a clip from CNN which states the helicopter crash and the bodies missing. The German “Tibet expedition” Wilhelm Filchner was a German explorer born in 1877. Adolf Hitler awarded him the German National Prize for Art and Science as an acknowledgement of his achievements in exploration. It was after he reported his incredible discoveries in Tibet about the secret tunnel to Wilhem II that he was then tasked with organizing an expedition to Antarctica. Does this tunnel in Tibet lead to the one inside the Bucegi Mountains. Prof. Ernst Muldashev Ph.D wrote “Das Dritte Auge” (subsequently banned) about Samadhi caves on mount Kailash. He accompanied the Chinese army in trying to enter the cave but the soldiers were overcome with painful headaches and some died of a heart attack the further in they went. This EXACTLY MIRRORS what happened to the soldiers in Romania when they tried to get access inside the tunnel. His book “Where do we come from opens this subject wide open! 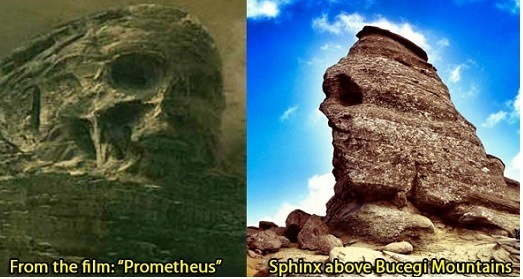 It is incredible how much the film Prometheus and the secrets of Bucegi have in common and yet unless you know about this information you only see the film. They like to hide things in plain sight, to reveal truths in small stages. They do this so when you come across something real the public can say “you just saw that in the film”. This information is starting to slowly come out but it was found BEFORE the film. The Bucegi discovery was 2003 and the movie was out 2012. There is a huge connection between the film Prometheus and the Bucegi tunnels. Anthropology at the American University, Bosnia. absurdity of the entire proposition should be very apparent. 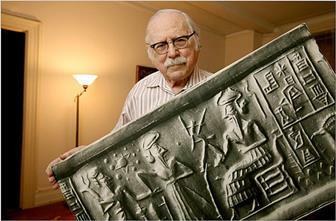 such as the babylonian creation epic, Enuma Elish and Sumerian tablets. Surprisingly to most people, the Elite of this Earth firmly believe that they are the direct descendants of a race of extra-terrestrial beings who visited the Earth thousands of years ago. This is not mere speculation on my part, but one of their stated, well documented albeit not well-publicised, beliefs. Again, the evidence that the planet was visited and seeded by extra-terrestrials in the dim and distant past, is widespread but nevertheless as far as is possible, is generally concealed from the un-thinking general public who seem to accept lies at face value with no question when given the by the mainstream media. English archaeologist whose excavations greatly increased knowledge of the ancient civilizations of Mesopotamia. The clay tablets were so numerous (500,000) that many are still untranslated to this day! race of giants who probably were around 8 feet tall, according to some researchers. How can they have known this information when the 12 planets have only been discovered in recent times? Unless this info. came from the Aliens who taught them. Below a Sumerian tablet showing the 12 planets in our solar system. ‘discovered’ 4-500 years or so ago. Sumerians and then interacted with their descendants more than 5000 years ago. ancient cultures that in fact held a much more accurate world-view than we do today. As if to convince us that they knew what they were talking about, the ancient Sumerians have left for us countless depictions of aircraft, rockets, and other vehicles for flying both through the atmosphere and through space. The depictions are accompanied by detailed technical descriptions of their operation, as well as correct detailed astronomical information about the solar system, all nine planets known to us today (the farthest of which are totally invisible without powerful telescopes), asteroids and comets, and the distant stars, including many that are not visible from Sumer. 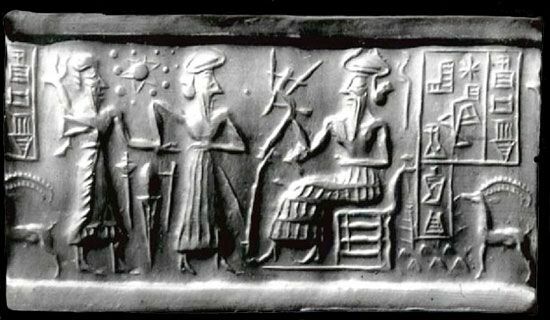 The astronomical knowledge passed to us by the Sumerians includes the description of the tenth planet of the solar system, which was the home planet of the Anunnaki. Given the accuracy of the Sumerian knowledge about the nine planets, asteroids, comets, and distant stars we know today, there is little reason to believe that they were mistaken about the tenth planet of the solar system. 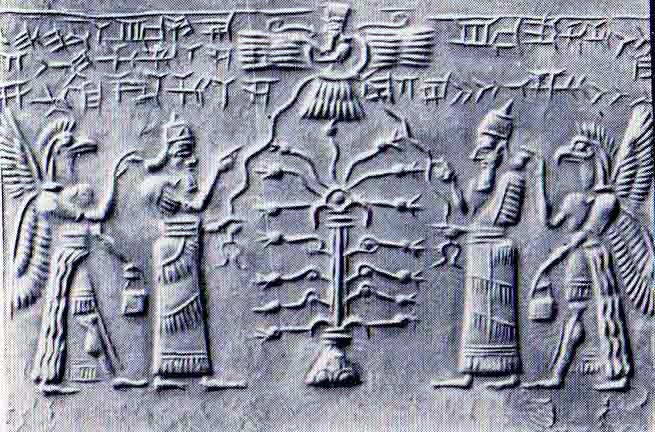 The Sumerian accounts of the Anunnaki leave no doubt that they were very advanced technologically. They had electrical and electronic equipment, including electronic vacuum tubes, semiconductors, and lasers. They had advanced radio communication systems, computers and robots, aircraft, rockets, and artificial satellites. They had nuclear powerplants and weapons, and were beginning to experiment with antigravity devices (their many megalithic constructions are the result). They also had highly advanced biomedical technology. Of course this is to be expected, as such an advanced level of technology is necessary for interplanetary travel. It is no wonder then that when the Sumerian clay tablets were first undug in the middle of the 19th century, the feats they described seemed magical and thus the texts were labeled as mythological and the references to Anunnaki, DIN.GIR, ilu, and other names by which the space visitors were known were interpreted as theological. 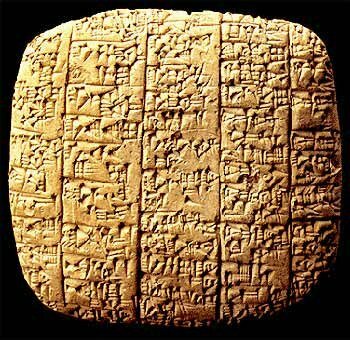 But if the Sumerian writings were myths, how have they come to contain correct details about sciences and technologies that we have painfully rediscovered only very recently, and some that we still haven’t gotten to work to this day? How could they have depicted and described devices that the dogma known as accepted history claims they could not have had, such as electronic vacuum tubes, aircraft, and rockets? How could they have known details about Uranus and Neptune that we have rediscovered only with the Voyager 2 mission? The dogma known as accepted history provides no answers, and it is high time to discard it. In the absence of evidence to the contrary, we would be better off believing the Sumerians themselves and what they wrote about the Anunnaki. There is another reason why the Anunnaki can be thought of as gods: they are our creators. According to the Sumerian records, the Anunnaki first landed on Earth about 450.000 years ago at which time the evolution of Earth was at the point of higher apes. The Anunnaki came to Earth not to play God, but for a more practical reason: to mine it for minerals for use on their home planet. The hardship of mining work soon became too much for them, and they came to the idea of slave labor. The ruler of their home planet Anu ordered his son Enki, who worked on the Earth mission as the chief genetic scientist, to create a new being, a slave worker, through genetic engineering. The being had to be advanced enough to perform complex work, i.e., more advanced than any of the available animals, but also less advanced than the Anunnaki themselves so that they could justify not treating the new beings as moral persons and use them as slaves. 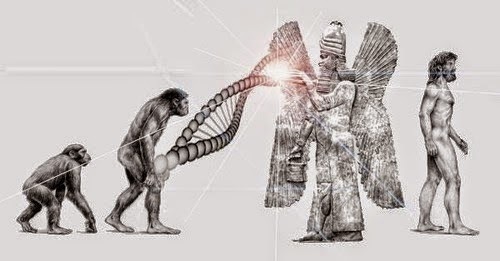 Enki’s solution was to create a genetic hybrid between Earth’s higher apes and the Anunnaki themselves. After many failed experiments recounted in detail in the Sumerian Atra-Hasis epic, there was a success. The result was Homo Sapiens. Flood, the Anunnaki arrived and taught them the basics of civilization. own astronauts at first splashed down in the ocean. Crescent, which included the Tigris and Euphrates river valleys in Mesopotamia. term has taken on the meaning of giants who were a hybrid of two species. succession. Yet it was Enki who led the first expedition to Earth. people, and to light up the land. put a thriving colony in place, and their attention turned to their primary objective—gold. gold to save their atmosphere. may go far in explaining the early diffusion of humans. difficulties for these extraterrestrial colonists had increased due to climate changes. prevalent in Abzu (Africa), where he maintained a laboratory. mankind to improve the stock. can be traced back to one primitive female who lived in Africa? the argument that modern humans are the offspring of the Anunnaki gods from space. the location of Enki’s laboratory at the ruins called Adam’s Calendar on the Transvaal Escarpment. whole concept would have been incomprehensible to even the most learned scholar. carried the child to term. creation by beings who came from the stars. the same story, only it is under the heading of Mesopotamian mythology. when it was revealed that human-animal hybrids were secretly being created by scientists in Britain. Newcastle University, and Warwick University. within fourteen days, the experiments were stopped, reportedly due to lack of funding. ignorant, lest “ye shall be as gods” (King James Version). baby in 1978. He saw this modern birth as support for his Sumerian translations. DNA that can produce a duplicate (clone) or hybrid. fertilization and birth. So Enki and Ninhursag set about to create an Adama race that could reproduce itself. appearance of an hitherto unknown species and thus to ‘fit in’ with contemporary scientific, evolutionary dogma. genetic code to allow sexual reproduction. accompanying DNA-sequence cutting and splicing, a procedure within the abilities of our technology today. disease, and other age-related illnesses. were sent out of E-din. and their later hybrid offspring. surprising evidence that supported the idea of ancient genetic manipulation of human DNA. to the Sumerian account of human hybrids being bred by the spacefaring Anunnaki. were these same Annunaki and not the God, creator of the universe. course—to wipe out the humans while the Anunnaki waited out events in evacuation ships orbiting Earth. assistants, the Sumerian Utnapishtim. In Babylonian legend, he was Atrahasis. The Bible called him Noah. creation of the Lu-lu, the first Earthling. and Nu-u to the Hawaiians. to Enki’s territory in Africa. of tiny samples would be much more reasonable than a floating zoological park. of the Tigris and Euphrates rivers remain deep under water and silt. Bering Strait. However, worldwide flooding may have melted great scores of ice, thus inundating Beringia. ships orbiting Earth during the flood. post-Flood world was to prove less peaceful than the previous one. same period of time for a complete orbit by Nibiru. of landmarks, which would guide the pilots toward the landing site. constructing the Great Pyramid, with all its secret passages—all of which had a specific purpose. or even inscriptions to that effect. There is no evidence whatsoever that they were built as tombs. to being a much later addition to the structure. spectacle and Ninmah even wrote and recited a poem. House of equipment, lofty house of eternity . . .
which it was built. “Let us beside the twin peaks a monument create, the Age of the Lion it announce . happened thousands of years ago when Giza had more rain and the floodwater could reach the Sphinx. corroborate the information we find in the clay tablets. promise that their offspring will be the successor to the throne because of their line of seed. himself in a freak accident. Innana chased after Marduk to try to kill him but he fled to the Great Pyramid. Marduk the sliding stone locks lowered, from one and all admission they barred. These detailed descriptions could not possibly be coincidental or some ancient person’s imagination. passage they shall bore . . . At the vortex of the hollowing through the stones they will break through . 2200 BC, which finally encompassed all of Mesopotamia. 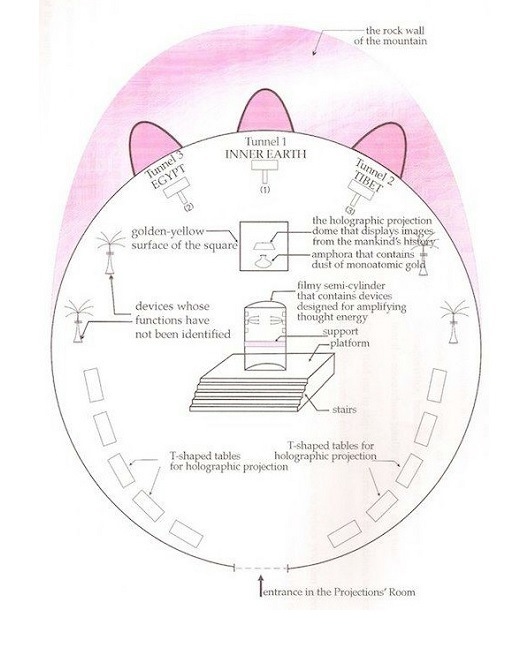 covenant with Yahweh, identified as Enlil. this time that the world felt the first blast of a nuclear explosion. spaceflight center following the Flood—as their private, or “holy,” sanctuary. This practice began in the Sumerian city of Kish, which Sitchin equates with the biblical Cush. the beginning of what they will do; and nothing that they propose to do will now be impossible for them. Alford theorized that Utnapishtim/Noah may have had wives representing separate racial groups. presence of the Negroid race in Africa, Mongoloids in Asia, and Caucasoid in the Near East. who suddenly appeared there in ancient times. the ancient “gods” were no more able to produce lasting peace than humans. that tall markers were constructed—the great pyramids of Giza. Gomorrah was a planned event, not some unanticipated natural disaster. International Dictionary defines them as “messengers.” Could this mean emissaries from Enlil? people has become great before the Lord, and the Lord has sent us to destroy it” (Revised StandardVersion). level of the Mediterranean, indicating it was created by something quite unusual and unnatural. Egypt (during the Old and Middle Kingdoms), and south-central Turkey. cases there are no visible impact craters in the vicinity. If not meteoric in origin, the problem is how they were created. have found a number of ancient mining operations near deposits of uranium. insurrection against the Anunnaki hierarchy. still be on the way to Earth. Only time will tell if there is any truth to this. in parts of Mesopotamia as memory of the great cataclysm faded into vague stories of the nightmare. visitation and interaction with human affairs comes from the Dogon tribe of West Africa. ‘scientists’ have only recently acquired. including how to live in harmony with their own divine nature. Incidentally Sirius is known as the ‘Dog’ star in some quarters. Coincidence? Sirius and were most likely visited and assisted by ‘ETs’ from that area of the galaxy. where did this knowledge emanate? humanity's real origins were in the constellation Lyra; specifically from the star system Vega. became more spiritually advanced and benevolent. Below is a video of Michael Tsarion the author of Atlantis, Alien Visitation & Genetic Manipulation. interests of our lords and masters. of 1000-1500 years ago, despite the vast difference in time periods? and development ever promoted by humankind. as they firmly believe is their birthright. thousand years via their direct descendants, the Elite, Illuminati, thirteen bloodline families. distortion of history and our present reality.